Bob Dylan’s classic anthem of change bodes well with the sea change happening across the world. What’s really heartening amidst all this is the way India is perfectly poised to surf on this new wave of change. It looks like a classic act of destiny when we observe how India has been preordained by the forces of history to ride on this ocean wave of change with élan. However, it would be a gross injustice to call this yet another wave of change, threatening to hit the shores of human society. An apt description would be a tsunami, powerful enough to overturn the old titanic businesses and revolutionize the way businesses are sailed in the twenty first century. It would radically change the way human societies lived and communicated in the coming generations. The most intriguing phenomenon of this tsunamic change has been the way it has desecrated the traditional rules of business, sanctified by the collective wisdom of the previous centuries, and laid out new, blasphemous rules for doing business. It’s mind-boggling to see the traditional levers of competitive advantage, powered by information asymmetry and driven by efficiency, being jettisoned and replaced with seemingly utopian levers of information symmetry driven by sustainability. Before we understand the visible, disastrous consequences of this tsunami, it is necessary to understand its origins. To take metaphor forward, it is essential to understand the shifting of the tectonic plates which caused the tsunami in the first place. The roots of modern science began with the development of philosophical thought which distinguished mind, and in extension human beings, from the matter, and in extension the planet Earth. It started when Rene Descartes brought about the division of reality between mind (res cogitans) and matter (res extensa). This Cartesian division led scientists, in their quest to explore nature, to look at matter as an objective reality. It also laid the foundations for Newtonian mechanistic model of the universe, which viewed the Earth as a huge machine that could be conveniently operated and exploited for the benefit of mankind. These foundations began to tremble with the advent of Relativity Theory and especially Quantum Physics. Quantum Physics debunked this whole idea of objective reality and replaced it with subjective reality where the perception of the universe cannot be held without the observer. This alternate, holistic view of reality had profound implications in the way planet Earth was perceived. It meant that the Planet Earth is no longer a machine, but a living, sentient being, full of dynamic, interconnected phenomena of networks, of which all living things are an essential part, although never apart from the whole. Welcome to the new era. This radical perspective about Earth found its genesis when Rachel Carson published her ground-breaking book “Silent Spring” in 1962, on the harmful effects of chemicals, heralding the rise of the modern environmental movement. Her book brought to fore the radical, yet subtle shift happening from man controlling the environment towards an inevitable balance of nature which was essential for the survival of mankind. What started off in the sixties as a protesting cry against the chemical companies, turned into an avalanche in the first decade of the twenty first century. The rise of this galvanizing force towards a concerted action to combat global warming has stemmed from this radical perspective which views the Earth as a living, sentient organism whose health has been neglected for centuries and whose survival is inextricably linked with the survival of mankind. This paradigm shift has profound cultural and social implications in the way we define our relationship beyond being responsible citizens of this planet. It helps in forging a deep sense of interconnectedness with this living planet. It also brings about accountability in our actions. It is particularly useful in putting sustainability in its enlightened context far beyond the conventional context which limits its meaning to competitive advantage or economic growth. This enlightened context also helps in bringing about the much needed moral urgency to combat the problems looming over our planet’s frail ecosystem. After all, the concept of Living planet would be meaningless if it doesn’t sustain itself healthily, ad infinitum for the benefit of the future generations. This decade has been quite remarkable for billions of Indians as it heralded the resurgence of India as the cynosure of the world, spurred by globalization and information technology. The most fascinating aspect of this riches to rags to riches story is the way India arrived at the right moment, realizing its innate strengths developed in her tryst with the forces of history, to lead the way in these dynamic vicissitudes of time. Be it India’s rich legacy of ancient sciences or the ‘palimpsest’ comprising diverse cultures within Indian DNA or the royal bequeathal of the English language from the British colonial masters, everything seems perfectly planned to orchestrate the rise of India in the new millennium. This Naya Daur (New Era) has infused a whole new generation of Indians, repressed and shackled by centuries of colonialism, with an empowering sense of confidence to lead and conquer the world. The rise of the entrepreneurial spirit across cities and villages speaks volumes about this Himalayan aspiration running in every nook and corner of the country. No dream is now too big to achieve. However, this zeal for stupendous growth and prosperity stands at the risk of being driven through oft-traveled route of Western model of development. In order to understand this clearly, it is pertinent to look back at the first decade post India’s independence when there was wide spread resistance to adopt the industrial age model of development. People resisted industrialism as it robbed them of their jobs. Mahatma Gandhi expressed the same sentiment when he wrote that “Industrialism is going to be a curse for mankind . Naya Daur, the epic movie released in 1957, defined this Indian zeitgeist post independence. Despite the widespread resistance, India adopted the closed doors, socialist-industrial age model, driven through Nehru’s Fabian socialist ideas, until it was forced to open doors in the nineties by the balance of payments crisis. After much hue and cry, India opened the doors of liberalization in 1991 allowing Western companies to enter the Indian market. The Indian miracle happened and the ebullient Indian spirit discovered the entrepreneurial spirit within. However, he hasn’t shed his colonial baggage fully yet. At a time when the Industrial-age model is finding its limitations, after the tsunamic change, amidst the new reality we are living in, the newly empowered Indian spirit is keen to adopt it as the exclusive pathway towards growth and prosperity. No wonder Naya Daur was colorized and released again during the year 2007. It’s the same conflict all over again, with stakes shifting sides to suit the times. So the biggest question is, how can we channelize these aspirations of a billion young minds to embark on an entirely new route for growth and development and avoid being succumbed by the pernicious route of development? The need to embark on an altogether different route looks so obvious when we look through the prism of our metaphor. While we are surfing over the wave, it would be dangerous if we set out to follow the surfer who rode over the wave successfully in his hey days. It is critical to note that winds have changed their direction diametrically. Before we set out to find answers for these questions, it is essential to understand them. What makes the industrial-age model of development so detrimental to our growth and the future of humanity? This model works in exploiting most of the Earth’s resources to gain economic wealth and spending the earned wealth as a compensation for the resources that have been depleted in the mindless pursuit for unsustainable growth, in a last-ditch attempt to gain back the depleted resources. It isn’t difficult to see the bad economics involved in this model. It spread as corporations, guided by their countries’ ambitious spirit, initially isolated their actions from its resulting impact on the environment. Later, as world grew up, after the tsunamic change, to measure the consequence of actions, they began to pay back the ecological debt incurred, as a futile attempt to salve their conscience, fully aware that the actual cost of the payback would be incurred only in the distant future. The model was adopted industriously by countries for several decades until the bad economics inherent in the model grew up to be a Frankenstein threatening to devour the economic society rapaciously which produced it in the first place. It behooves leadership of a new dimension to address these challenges in this new era. 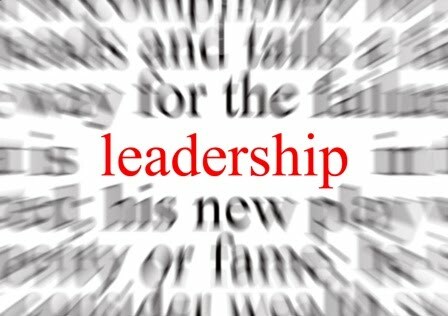 Leadership through the centuries has been shaped by the challenges of the society it addressed to. Leaders of the previous era were defined by a strong element of superhuman ness which gave them the wherewithal to exercise power over their legion of followers. Their operational levers were driven by centralized power structures arising from one single authority. They were charismatic and extra-ordinary individuals who operated from a higher plane of reality. Their ability to lead depended on their capability to distance themselves from the web of circumstances their followers were led into. Their strong personality and exalted stature however turns out to be a liability in this new era as it makes their followers dependent and blinds them from understanding the dynamic and interconnected reality we are now living in. 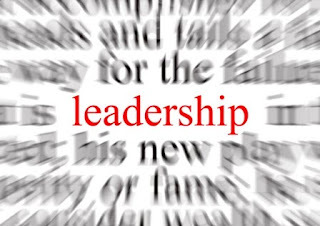 This new leadership energy cannot flow through traditional hierarchical channels. It will flow only in the form of collaboration through decentralized, small interconnected networks. It is important for us to understand these new dimensions of leadership as these pressing concerns of sustainability cannot be addressed successfully by a single leader alone. It can be addressed effectively only by this leadership energy through a vast network of mass movements across the world which will unite its citizens for a cause larger than their lives. This new dimension of leadership energy is perfectly suited for a diverse country like ours as it helps to unite our country men by transcending the divisions of caste and region. Before we decide on the course of this leadership energy, we ought to understand the vestiges of colonial mindset prevailing after more than six decades of independence. For most of the young Indians, despite the Indian miracle, west still remains the ultimate pinnacle of their dreams. Europe and especially United States of America has always been the El-dorado of Indian consciousness. This partly explains why we tend to imitate the old colonial masters’ ways. Although this trend has begun to change following India’s successful tryst with liberalization, exemplified by the exodus happening towards their roots by the previous generation of Non-Resident Indians, it has not percolated inside Indian consciousness. Since the beginning of human history, Indian civilization has had an illustrious cultural heritage unlike any other country in the world. Edward Luce, a british journalist, puts it eloquently, in his book “Inspite of the Gods”, “If world trade were to be conducted purely in cultural products, then India would have a thumping annual surplus.” Although a discussion on India’s rich cultural heritage would be beyond the scope of this paper, it would be interesting to look at Indian Culture from the prism of ecology and sustainability. This would help us in deciding the course of new leadership energy in India through the soft power of Indian culture. India, since ages, has been a country obsessed with millions of Gods. Indian pantheon consists of Gods in every imaginable form ranging from human beings to pigs, monkeys, fishes and even amphibians like turtles. Often, the significance that lies behind such folklore gets drowned in the sheen of Western Rationalism. However, if we go behind the veneer of mysticism, we would realize the true ecological significance lying behind India’s rich cultural tapestry. Whenever such little creatures are revered as Gods, they are nourished and their indispensable presence for eco-balance is recognized by the common folk. Indian ancestors were indeed far sighted environmentalists. They must have been prescient enough to realize that Oliver Ridley Turtles would be in danger in the 21st century and so they made Lord Vishnu metamorphosing as Turtle Avatar in the ancient folklore. 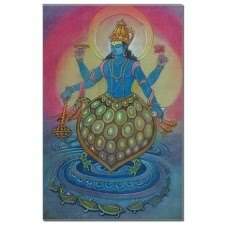 The significance behind making Gods out of fishes (Matsya Avatar), turtles (Koormah Avatar), pigs (Varaaha Avatar) should be understood in the present context where scant regard and utter apathy is shown towards such living creatures in the ecosystem. Several traditional practices such as Rangoli were designed to showcase the rich culture and also play its ecological role by feeding tiny ants and other insects. There are several examples of such traditional-ecological practices. The future generations should be taught to appreciate Indian Culture from this enlightened perspective. This would help in changing the way they perceived Indian culture earlier under the influence of colonialism. The global attractiveness of Indian culture, with its richness and ecological significance, can be used as a remarkable source of soft power to galvanize the country and also the whole world towards building a sustainable community. One of the interesting phenomena that have occurred in the new era has been the synergy between technology and communications which has led to shrinking of the world into one global village. This phenomenon can be used effectively to communicate the message of sustainability. Imagine every time when you leave any electrical equipment switched on, you get a message measuring the power wasted in the form of its catastrophic impact on rising sea levels. This simple message has great potential to foster responsible actions in everyday life. The journey towards inspiring billion gifted minds towards sustainable development cannot be done without changing the existing institutions which hinder sustainable development. While several forms of institutions remain affected by tsunamic change, only few have realized the need to evolve. Several organizations still remain in a state of denial, conforming to the old mechanistic, unsustainable ways. Let us first understand the violent manifestation of this tsunamic force on the traditional structure of businesses. Internet has turned out to be the largest organism, created by this tsunamic force, disrupting and eventually decimating all unsustainable forms of businesses. The key word here is “organism”, manifested in the form of dynamic, inter-connected networks, as internet turns out to be an elegant organism, created in the virtual world of bits. Internet has also built around itself a unique ecosystem which has the potential to spawn living organizations from its bosom. These living organizations have their metabolism in tact which gives them self-operating and regulating capabilities. While several such organizations have been created successfully in the virtual world of bits, destiny has befallen now in the hands of mankind to create living organizations in the real world of atoms. How do we create living organizations in the real world, reflective of this paradigm shift? When we begin to understand these living organizations, we would realize that they are governed by one fundamental principle: Open, interconnected systems. The elixir needed to create living organizations lies at the heart of this principle. While globalization has fostered the creation of inter-connected systems, it has created closed, unstable systems due to its interlocking fragility . Hence it is important to create open systems to address these challenges. Open source remains as one of the most radical idea of our times, simply because it remains counter-intuitive to our belief system. We’ve held our belief in closed systems for too long that, it has now become increasingly difficult for us to believe that it is detrimental to our growth. Why are closed systems harmful? They work on preserving the status quo , ignoring the dynamic reality at our own peril. Open systems, on the other hand, are far more chaotic and competitive. However, the inherent chaos provides the impetus to reorganize itself and hence ensure orderliness. A unique advantage an open source can offer is the participative approach to development, where users could also become innovators, thus facilitating accountability in their actions. This approach has several advantages. The biggest one being, in facilitating open systems, it can offer new solutions in the market, thus rewriting the rules of doing business in a sustainable manner. Traditionally, closed systems, by virtue of their nature, lend credibility to any product that is brought to the market. Products became the preferred choice as it made economic sense. It takes one-time investment to create the prototype for a product during its inception and create identical copies using technology. While it made economic sense to manufacture products ad infinitum, it turned out to be unsustainable in the context of environment with limited resources to accommodate them. Service came as a perfect alternative to suit the requirements of this new era. It has an inherent advantage as it is created and consumed in tandem. This advantage makes it the best choice in a sustainable world as it requires only minimal resources and can offer better solutions as per supply and demand. This concept can be clearly understood using an example. Automobile industry has often been accused by environmentalists for building fuel inefficient cars, reaping huge profits, insensitive to the concerns of environment. After the tsunamic change, automobile companies have begun to switch towards production of hybrid cars which care for the environment. If automobile makers are serious about the environment, they can go even further, when they apply this radical concept to their businesses. Here are the two simple steps that could be taken. Step 1: Open source the manufacturing of cars by allowing the incorporation of environmentally friendly technologies created by micro entrepreneurs across the world. Technology has enough wherewithals to achieve this. What Linux did to its OS software through open source, by converting the product into service in the virtual world of bits; manufacturers can deproductize their product and metamorphose it into service in the real world through open source. Step 2: Reposition the hybrid cars in the form of service that could be offered to their customers. Technology can ensure that remarkable service is provided on demand to the customers. This step has the potential to be the panacea for our environmental concerns as it would ensure that only adequate numbers of cars are manufactured to suit the demand of the customers. This would be a boon for our environment as it would reduce the carbon emissions significantly and address issues of energy security and environmental governance. Needless to say, it would help in building a sustainable environment for the generations to come. Since time immemorial, disasters have often inspired people to take concerted actions. However we cannot wait any longer to wake ourselves up from our false notions of security. After all, there would be nothing left worthwhile to strive for if, god forbid, such disaster were to happen. However, fear isn’t always a good thing. Several organizations which promote the cause of environmental awareness use fear as their driving force to inspire people to take necessary action. Fear can never be a sustainable source of inspiration. A profound sense of bliss and gratitude is all it takes to unite the hearts and minds of young Indians for having a once-in-a lifetime opportunity to save their descendants from a crisis of such tall order and build a bright future for the cause of humanity. I can't forget tsunami. It is a worst incident. First time I am heard in 2006. I can't forget that date also dec 26 2006.